He must have known he would be on camera. 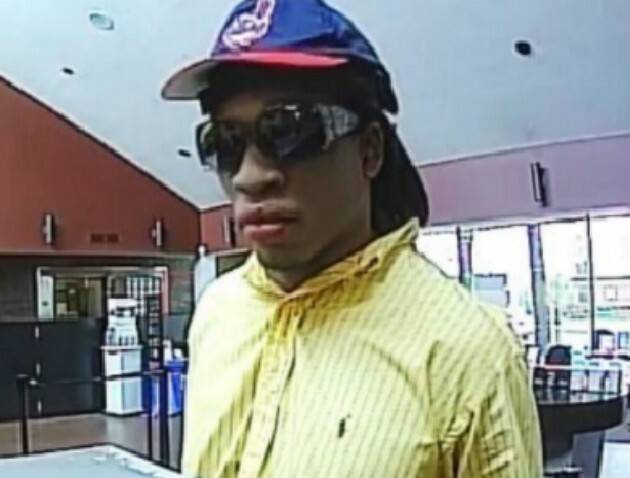 An unusually glamorous crook was ready for his closeup in makeup and a stylish pair of sunglasses — sort of like an incognito celebrity — when he held up a bank in north St. Louis County. 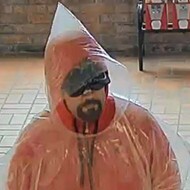 The thief arrived about 3 p.m. on Wednesday at the U.S. Bank branch at 2885 Netherton Drive in an unincorporated part of the county east of Florissant, police say. Dressed in a Ralph Lauren Polo yellow button down, he was understated in his demand. 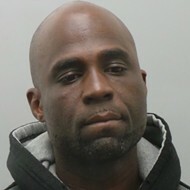 Police say he passed a note to the teller and implied — but never showed — that he was carrying a gun. 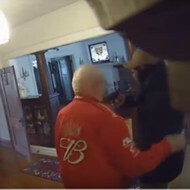 He is between six and six-feet-two inches tall and finished off his outfit with khaki pants and a Cleveland Indians cap. Once he had the cash, he strode calmly out the door. We're dying to know how he plans to spend the money. 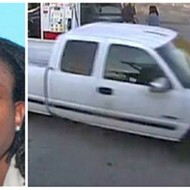 Police ask anyone with information to call them at 636-529-8210 or try for a reward from CrimeStoppers at 866-371-TIPS.